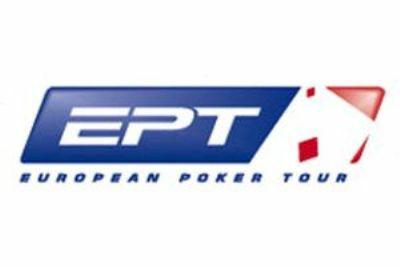 In comparison with the 475-player field of the previous edition, the European Poker Tour (EPT) Barcelona Main Event is generating a buzz by attracting a record-breaking number of participants this year. Actually, the Main Event seduced 1,673 entrants in the first two days of the festival which is currently held at Casino Barcelona, in Barcelona (Spain). The last time the tour hit its peak was in 2011, in the Bahamas leg of the EPT Season 7 to be precise. By logic, the field will be increasing in number given the fact that registration is allowed until Day 2's start this Wednesday, at noon. Anyway, the huge field of 1,673 players was getting smaller at the end of the second starting day flight. Only 770 survivors now remain heading to Day 2. The game is already "over" for poker pros including Vanessa Selbst, Narny Noatman, Benny Spindler, Yann Dion and Tom Middleton. Notables in the pack are Christophe Benzimra, Giulbert Diaz, Philippe Ktorza, Elky Grospellier, Ryan Riess, Jude Ainsworth, Yehoram Houri and Johnny Lodden, with Spain's Samuel Bernabeu on the chip-count lead. As a reminder, Bernabeu has final-tabled the freshly-completed Estrellas Poker Tour. Interestingly, the start of the 2015 EPT Barcelona Main Event was marked by football stars Neymar Jr and Piqué joining the poker room as participants. Both men took part in the  25,000 buy-in Single Day Turbo High Roller. Unfortunately, none of them made it through the final. While Neymar Jr got home after his elimination, Gerard Piqué, for his part, bought-in another  5,300 event.